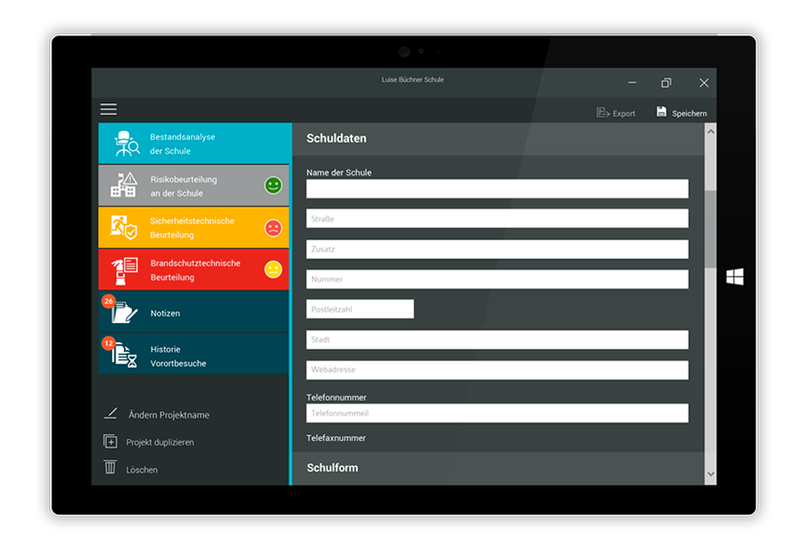 Schulcheck is the first mobile app that takes into account all relevant security questions regarding security at schools by means of a checklist and evaluates them according to your input. 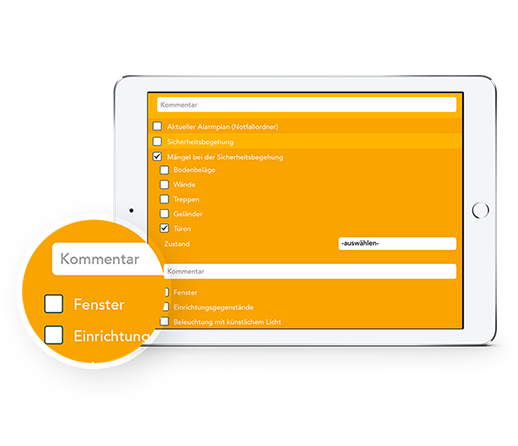 In a single app, you can enter and assess the inventory analysis, fire safety, risk management, and security. Simple form creates a strong visual experience along with light and bright colors. Check mark symbol in achromatic colors maintains the right balance. This flyer was presented on safety fair in Germany in Hamburg. Fair’s theme was “School building” and the most important task for one school is safety. Schulcheck finds his place on this fair as a valuable tool for risk evaluation. 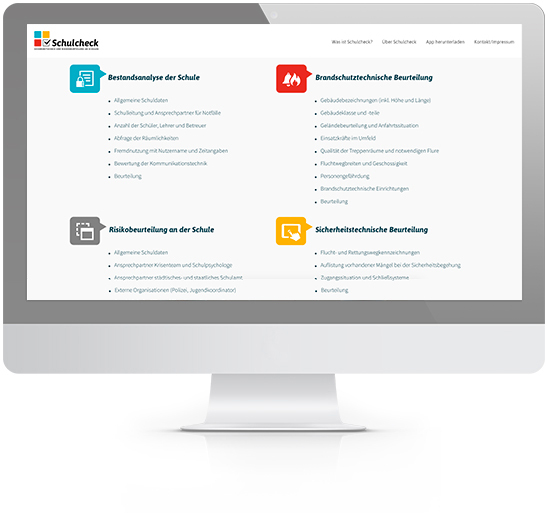 Responsive HTML website made to introduce Users to Schulcheck app. The first mobile App for risk management. 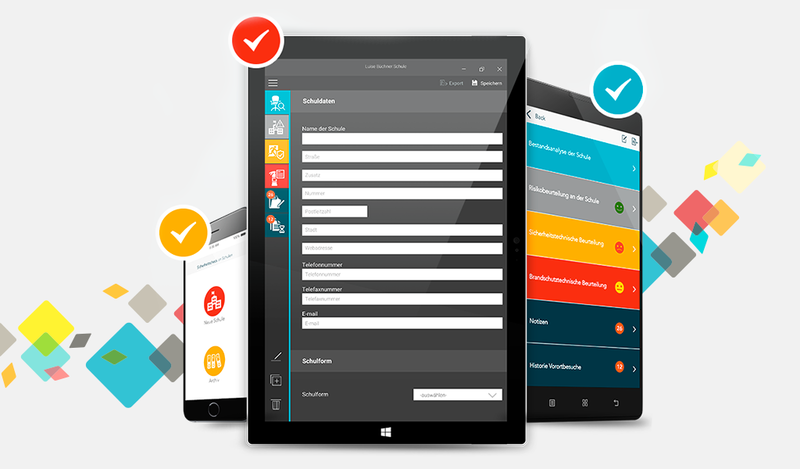 The App for security check at schools and for the evaluation of fire protection, safety and risk. In this screen, you have the option to rename the project, to export the file, or to delete the document. As an introduction to working with the app, you have the choice to create a “new school” or to edit an existing school in the “Archive”. With this app, you can capture the necessary key data for emergency and hazard response systems. After releasing Android and iOS app, we created also a UWP App to cover the most used operating systems.